The International. 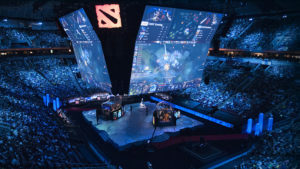 Not just the biggest Dota 2 tournament of the year, in terms of prize money in esports, it’s unparalleled. TI 2018 reached $25,532,177 in prize money, and the winners OG took home over $11 million. But is The International good for the Dota 2 scene? With all that attention and all that money involved, it’s hard to see any downsides. This is the Super Bowl, the World Cup, and the best teams in the world are competing. But what about the other teams in Dota? The teams that didn’t make it to the grandest stage of them all this year, and never really had a chance to? I had the chance to get the perspective from a range of pro players. “For me personally, it’s perfect,” said Damien ‘kpii’ Chok, who plays for Mineski. “Nothing comes close to it, not even the Majors,” said Aliwi ‘w33’ Omar of paiN Gaming. They both love The International, but they’ve also got one thing in common. When he was on Newbee, kpii came second at TI 2015. When he was with Digital Chaos, w33 came second at TI 2016. It’s estimated that they’ve both individually won over a million dollars in prize money alone through their careers. The International has changed their lives. What about for players who have never been? The International is huge, and perhaps maybe too big for the good of the scene. But BananaSlamJamma doesn’t think The International is necessarily the problem. It’s the fact that finding a long-term sponsor for your team is hard unless your team is already at the top and winning. If your team is going to TI, a sponsor will want in. If there’s a risk you won’t qualify, they might be better off spending their money elsewhere. One of the problems at the moment is that salaries for most teams just aren’t competitive. It would be more beneficial for a player to jump ship to a team who might be able to get to TI rather than sticking around and taking low income from their current team. Because even coming last in that one tournament will often grant you a better paycheck. “If you’re regularly salaried and sponsors are willing to pay for you, that’s way more important to me than one big paycheck from TI. 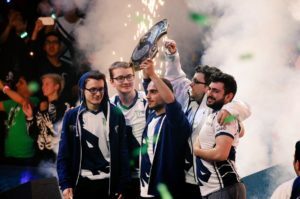 One of the biggest problems is [playing Dota professionally] is not a stable job as of yet, but it has come a long way in the past five years. I get a paycheck based on subscribers, how often I stream. A lot of these players don’t know if they’re getting paid. Other scenes have done a better job of that. 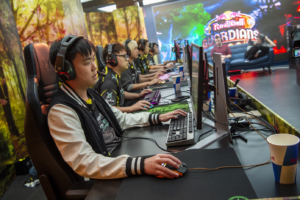 “Players around Tier 2 or 3 that are on the verge of qualifying or on the verge of placing decently in tournaments, they’re making maybe $1,000-$2,000 a year from competitive. That’s nothing you can live off. I know some players who have quit Dota, and they were probably going to be good enough to be Tier 1. But if you’re telling them that for two years you have to live in poverty, you can’t expect that from people. Of course, for the spectators, there’s nothing better than The International, and kpii doesn’t believe changing it for the good of lower end teams is the right way forward. And although BananaSlamJamma believes “it would be better for the scene if it didn’t have one gigantic tournament,” he can’t deny the benefits that The International does bring. The International in its current form is certainly not going away any time soon. Not only because of the prestige and the attention it brings to Dota, but also because it makes Valve so much money. TI is not the problem affecting lower tier Dota, but it’s part of it. “If you want people to break into Tier 1 Dota, you have to give them the means,” said BananaSlamJamma. Whether Valve and potential sponsors are willing to take the chance is a very big question.